At the beginning of December, TR received an purchase order of decanter centrifuges from a new client. They will support their oil & gas drilling field in Russia. At present, they are in the process of production at TR’s factory. TR decanter centrifuge is high in recovery rate, effective in solids control and remarkable in the reduction of cost spent on drilling mud resupplying and management. 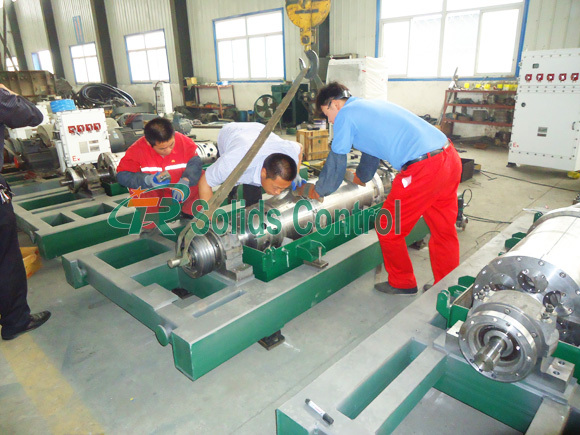 Regarding this batch order, it includes 5 sets TRLW355N-1 decanter centrifuge. The capacity can arrive 40m3/h. Bowl diameter is 355mm, and bowl length is 1250mm. For bowl speed, it’s fixed with 3200r/min. Separation point is 2-5μm. G-force meets 2035. Straight and cone section of the drum are made from 2205 duplex stainless steel material. Remaining components of the drum assembly are made from SS316L. Imported SKF and NSK bearings improve equipment stability and bearing life. TRLW series decanter centrifuge adopts solid-liquid density difference to form two-phase separation under the function of centrifugal force. 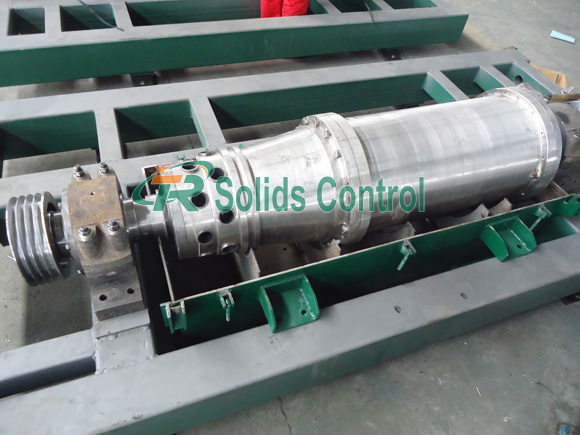 If you are finding a high quality decanter centrifuge to separate solids from drilling fluid, TR Solids Control is your best choice. Our centrifuge is with competitive price and good performance. Nowadays it’s widely used in oil & gas drilling, drilling waste management, also sewage treatment. Once you have any inquiry about decanter centrifuge, welcome to contact with us!